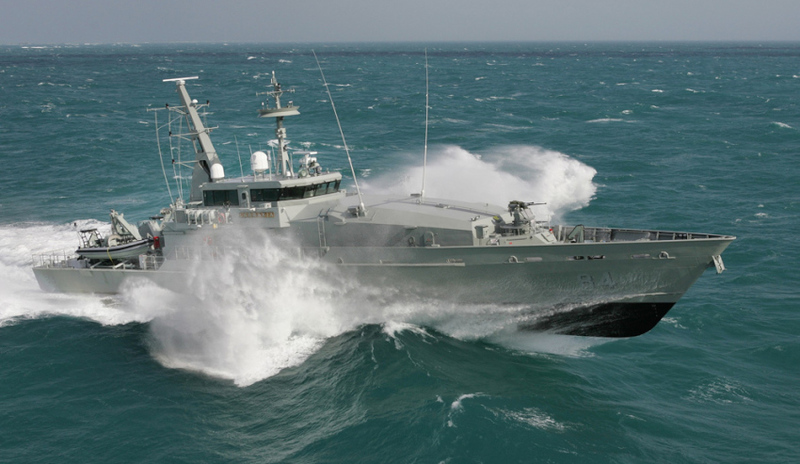 The federal government’s decision to award South Australia the lion’s share of Naval shipbuilding over Western Australia has been a point of contention for months and has made the federal government an easy target for the federal opposition and state Labor governments alike, who have claimed the decision was based on helping to secure Minister for Defence Industry Christopher Pyne’s marginal seat in South Australia. Defence Connect spoke with David Singleton, chief executive of Austal, one of Australia’s leading defence and commercial companies, to get the prime’s perspective. As the Henderson-based company enters into its fourth decade of operations, Singleton says South Australia's victory over WA, and to some degree Victoria's Williamstown shipyard, in securing the build of the Future Submarines and the Future Frigates is one that simply "makes sense", regardless of perceived political factors. "I know that's what everybody says about the federal government," Singleton said. "I know that people want to continuously make a story out of South Australia and where work was defined, but it actually makes industrial sense. "When you look at what we're doing in Australia it makes sense. What the government has done is it's made a decision to bring shipbuilding down to two primary centres, and that's Adelaide and Western Australia. That makes sense because there's not enough work to have three or four or five centres in Australia, it's simply not big enough, so that makes a lot of sense." "The fact that the large vessels are going to be built in Adelaide, that makes sense as well because that's where the large vessels have been built before," explained Singleton. "I mean, the previous submarines were built in Adelaide, and the previous destroyers, large vessels like the frigates, were built in Adelaide, so it makes sense that you would build the future ones there as well. All of the patrol boats in Australia for the last 20 years have been built in Henderson, and so it makes sense to continue that process in Henderson. "Frankly, if you looked at Australia ... and you were completely independent and all you wanted to do was make an industrial argument for doing it, I think it would look pretty much like it does today." Singleton is not alone in this view, with Naval Group CEO Brent Clark previously telling Defence Connect the investment in infrastructure at Adelaide's Techport gave SA a leading facility and economic edge above the other states. "[The] South Australian government had invested quite heavily at Techport," said Clark. "The federal government had invested quite heavily in terms of the AWD project. So there's a lot of facilities and infrastructure that are in place already. From that perspective, reusing as much of those facilities as you possibly can makes good economic sense, from a government's perspective." The 12 Future Submarines, nine Future Frigates and two Offshore Patrol Vessels (OPVs) will be built in South Australia. The remaining 10 OPVs will be constructed in WA.